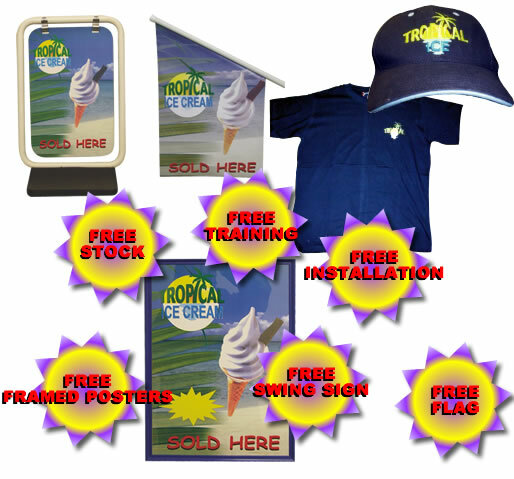 Our extremely competitive machine prices make it easier and more affordable for everyone to join in the profitable fun of selling ice cream. We can offer a great 3, 4, or 5 year lease package with the ownership of the machine being yours at the end of the lease. 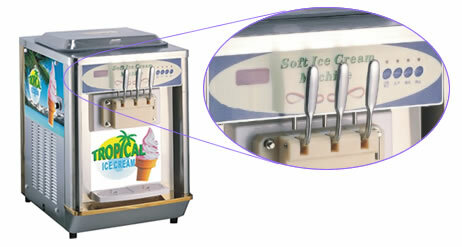 We have our own branded super tasting ice cream mix also at a very competitive price. The Strawberry and Vanilla flavours will tantalise and tease everybody’s taste buds. Contact us today for our full range of machines and prices. Our eye-catching visual machines come with unbeatable prices and unbeatable warranty. They are very easy to clean and maintain and we offer a first class after sales service and a FREE POS.